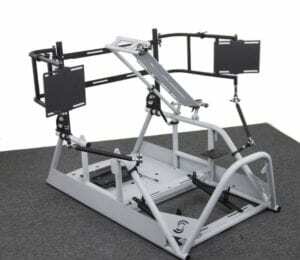 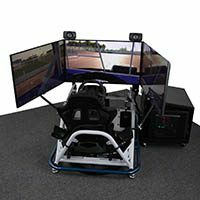 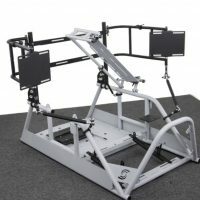 The APEX0 BASE Model, from SimCraft – a premier SimRacing cockpit, rig setup, which is also a motion upgradeable, robust, and extremely adjustable simulator cockpit. 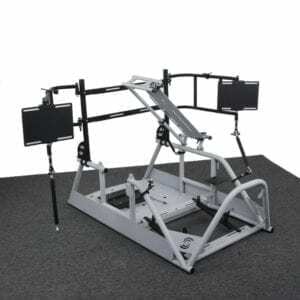 The APEX0 BASE Model is an incomplete system and is shipped assembled and ready for use. 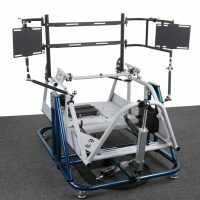 Product includes a powder coated chassis, mountings for Audio, Visuals (Triple Screen and VR), Controls, and Seating. 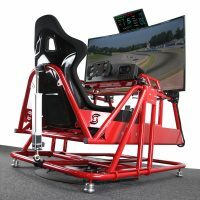 Not included: Seat, Racing Wheel/Pedals/Shifter, Audio, Visual, PC. 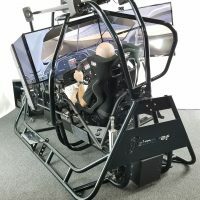 The APEX0 cockpit can be used standalone/static and in any of SimCraft’s 6DOF motion systems. 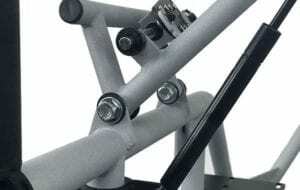 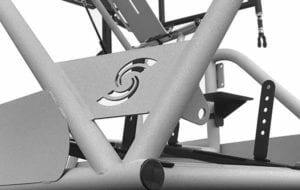 Because of the upgradeability, roll, pitch, yaw, surge, sway, and heave can be added as an upgrade later. 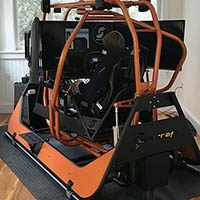 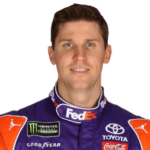 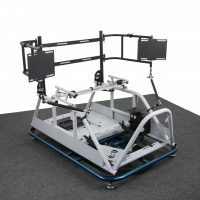 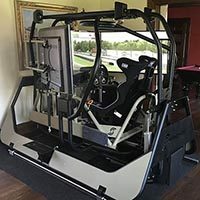 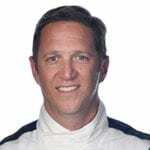 As a result, this will allow you to feel (after you upgrade) the limit of adhesion, understeer/oversteer, accel and decel, terrain changes such as hills, banking, curbing, bumps, camber, and both left/right and fore/aft weight transfer in a motion simulator like you have never felt in a motion simulator. 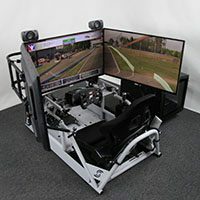 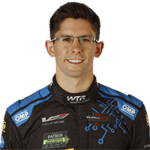 All APEX0 SimRacing cockpit rigs can be setup with any racing wheels, pedals, or shifters, including Fanatec, Thrustmaster, and all of DirectDrive force feedback setups. 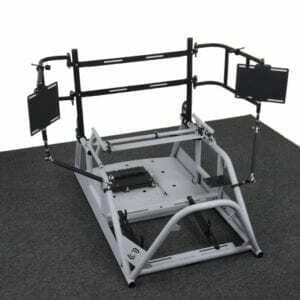 Mountings for triple screens (VESA 100, 200, 300 or 400), racing seats, and audio speakers included. 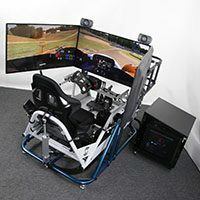 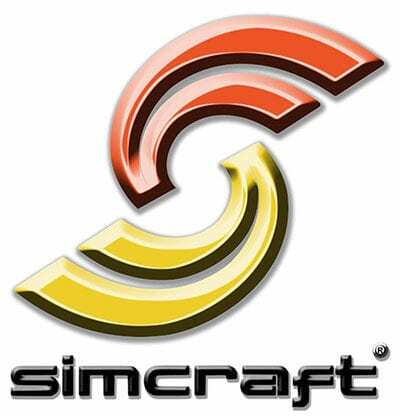 Compatible with iRacing, Forza, Gran Turismo, Project Cars, Assetto Corsa, and any of our supported racing simulations. The APEX0 GTC features a super-strong, lightweight, TIG/MIG welded, DOM and carbon steel framework. 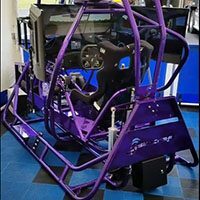 Robust design allows for unmatched motion simulator performance powder coated in many colors.